We strongly encourage Pair Programming on homework assignments (not quizzes), since it's an extremely effective way to learn and lots of fun! Remember that showing complete solutions to others who are just starting the homework prevents learning and is against the edX honor code. 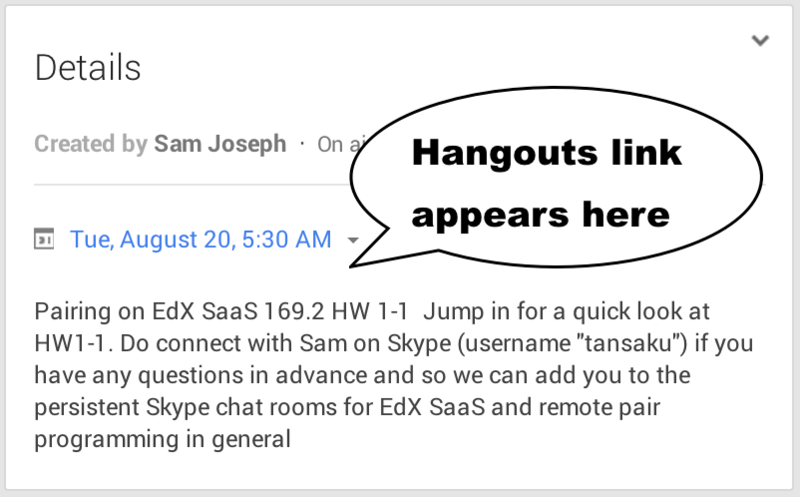 There are many ways to pair program online but Google Hangouts is a good default option as long as you have a reasonably fast computer and a reasonably stable internet connection. 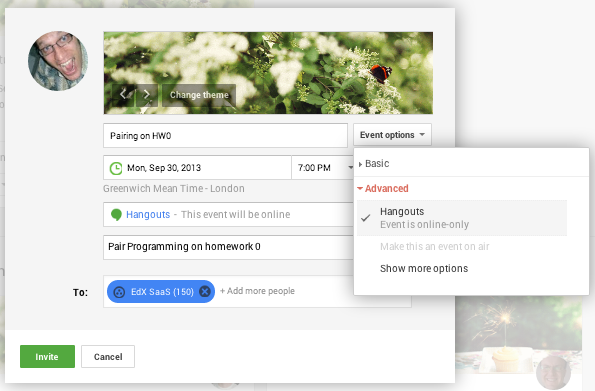 Even if you'd like to use a different remote pairing technology it's still worth creating or joining an event in the G+ community since you can always switch to Skype Screen Share, Screen, Tmux, Nitrous.io or other alternative once you've established the time and date that you can pair at.